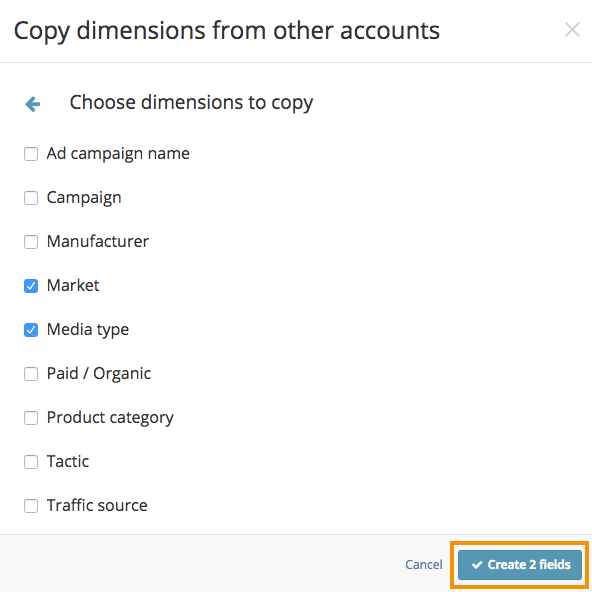 When creating a new dimension or metric in Funnel you have the option to make it a copy of any that is present in other Funnel accounts that you have access to. For this article, we've only included images of copying and duplicating Dimensions, but the process is the same for Metrics. You are now presented with two options asking you to choose between "Copy from another account" or "Create from template". 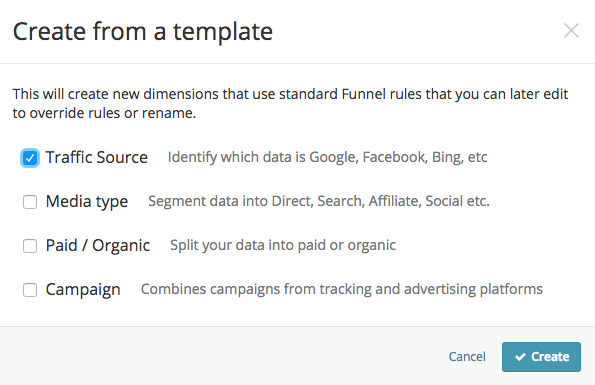 If you have access to several accounts in Funnel you have the possibility to choose a dimension or metric from any of those accounts. Congratulations, you're done! Your new dimension/metrics and its defined rules are now there. If you want to change the dimension/metric name, or its rules, you can always edit it by clicking the "Edit" symbol next to the "Copy" symbol.